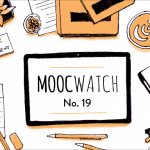 November 2018 MOOCWatch 19: Coursera’s Revenue, Udacity’s CEO, and edX’s Master’s Degrees. Disclosure: Class Central is learner-supported. When you buy through links on our site, we may earn an affiliate commission. Why Does a Private Company Develop and Offer MOOCs? Just one of the Top 50 MOOCs of all time was offered by a private company. Esri, a mapping software company based in Southern California, has developed and offered massive open online courses (MOOCs) for the last four years. Esri’s MOOC program has had 150,000 enrollments across five course titles. 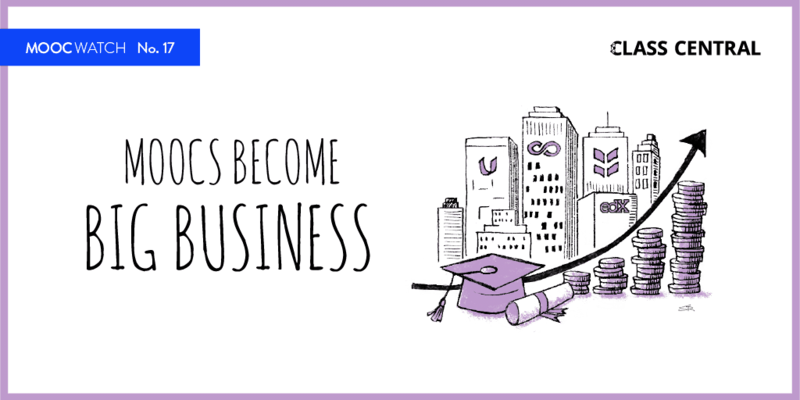 This is a company, not a university. So, why do we have a MOOC program? Organizations communicate their vision and thought leadership through a variety of channels including articles, podcasts, and conference presentations. Esri uses those channels but added MOOCs as a unique way to communicate with the target groups. The opportunity to develop the first MOOC coincided with the addition of enhanced analytical functionality in our cloud solution. Esri was eager to communicate to current and prospective users that spatial analysis, the use of information tied to location to make decisions, was moving from the desktop to the cloud. Esri’s MOOC team crafted that first MOOC, Going Places with Spatial Analysis, to make that argument by encouraging those interested to give the new technology a test-drive. In the Do-It-Yourself Geo Apps MOOCs, students learn to build apps without code. 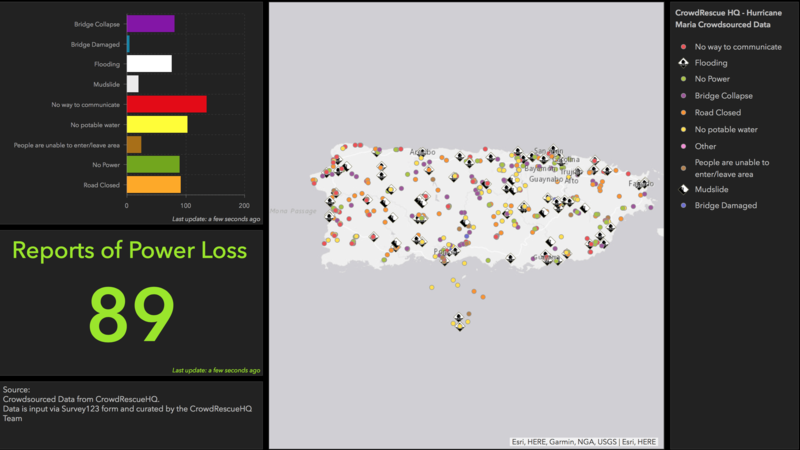 This student-created app provided real-time crowdsourced data about Puerto Rico during the response to Hurricane Maria. Many students use the course as a jumping off point for work, school, or community projects. Consider the key differences between offering these types of messages via articles, podcasts, or videos and via MOOCs. Passive—Reading is a bit active, but listening or watching is less so. Permanently archived—There’s no compelling reason to read an article or watch a video now if it will be available for access on demand. Provide limited call to action—Most commonly, the call to action is access to further information or a free trial of the technology. Active—Students can utilize the software and interact with one another and instructors. Time bound—Esri MOOCs have firm start and end dates, and titles are offered no more than twice a year. These factors, and others, encourage cohorts of significant size and result in an average completion rate of 23 percent, far higher than most MOOCs. Significant takeaways—Esri provides free certificates to students who complete the course before the end date. After they complete the course, students can take their course projects with them. Recent students projects became part of master’s degrees and as served as prototypes of work deliverables. At 50 years old, the company can still be young and hip. Gaining experience with mapping technology is interesting, fun, timely, and a good career move. Esri is a place full of engaging and interesting people, and you might want to work here. Instructor Kevin Butler, right, developed and taught Earth Imagery at Work, a MOOC focusing on the use of imagery in a variety of disciplines. 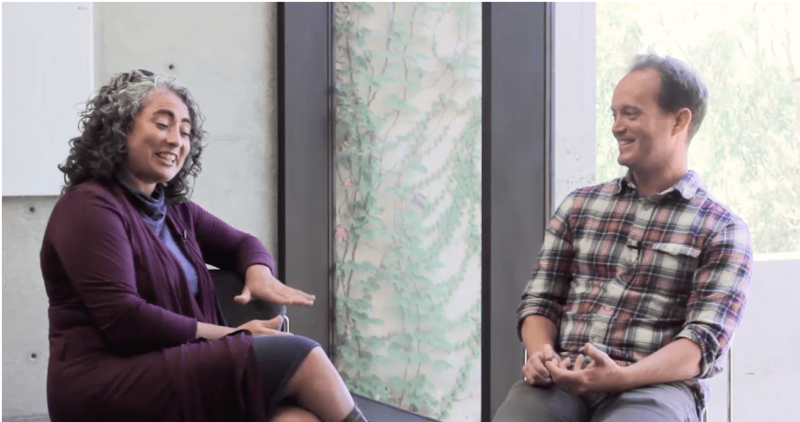 In a course video, he interviews Susanna Crespo, Esri agriculture industry manager. The MOOC program served as a launchpad and proving ground for our instructors. They have all become highly sought after for positions inside and outside the company. While other MOOC providers may be working to monetize MOOCs or drop them all together, we see MOOCs as sitting in the plateau of productivity in Gartner’s hype cycle. We continue to see a return on our investment in measurable ways, such as counting more than 9,000 students who worked with our newest software package for the first time in the Cartography MOOC. (That’s the MOOC that was in the top 50 list.) About 20 percent of students in each MOOC know next to nothing about Esri when they start the course. We also see a return in less measurable ways, such as the 87-year-old retired grandfather who made his first online map or the Millennial who took one of our MOOCs and a few from other providers and landed a job as a GIS manager. 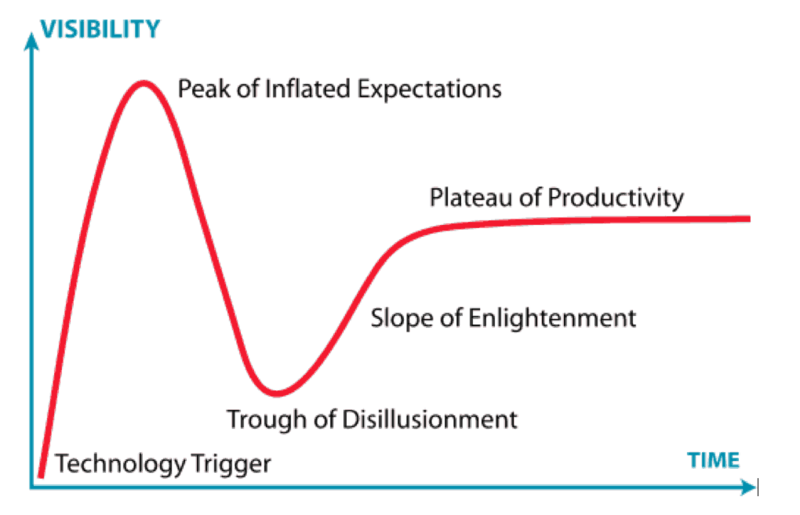 Gartner’s hype cycle. At Esri, we see MOOCs at the plateau of productivity. Attribution: Jeremykemp, Creative Commons Attribution-Share Alike 3.0 Unported. As we head into our fifth year, we are updating some courses and considering retiring others. Our next MOOC will capture the energy of our new branding and celebrate our fiftieth anniversary in 2019. So, why do we have a MOOC program? Because it makes business sense. MOOC Program Manager at mapping software company Esri. What do professors think of Coursera’s new subscription model? 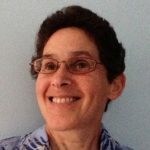 As a regular participant of every MOOCs program ever Esri developed, I would have to say I have learnt a lot from them in my GIS Work and Research and I’m even proud because of those MOOCs I can now better uses almost all the Esri software programs. So, this really great efforts from Esri that many like me would be ever grateful. Class Central is a search engine, discovery platform, and review site for massive open online courses (MOOCs). 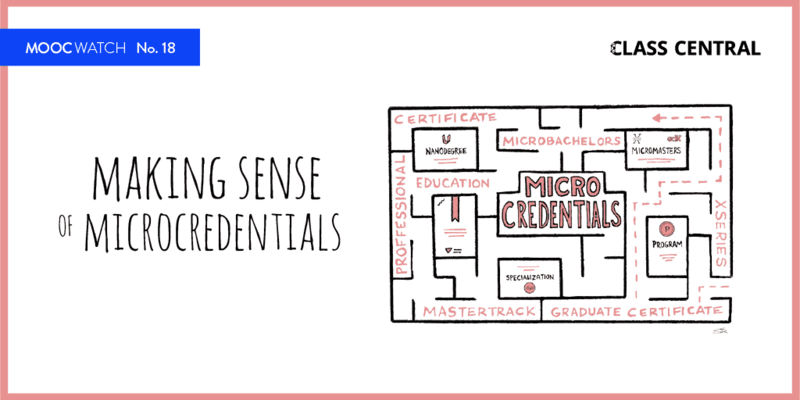 We aggregate courses from many providers to help you find the best courses on almost any subject, wherever they exist. Through Class Central, you can find courses; review courses you’ve taken (and read other people’s reviews); follow universities, subjects and courses to receive personalized updates; and also plan and track your learning. More than 18 million people have used Class Central to find their next course. MOOC Report is where we publish news, trends, analysis, and opinions related to MOOCs and online education.